I like the idea of a day dedicated to giving thanks. The only thing better would be to focus on things we appreciate every day. But at least there is one day each year devoted to being grateful. Most of us are thankful for friends and family, for work and play, and for the many places we call home. Then our thanks diverge, with everyone finding joy in different ways. I love the frenetic energy of cities, and really enjoyed my brief visit to New York City last month, a place I once called home. But as the years go by, I find myself increasingly drawn to wild places, and a more subtle energy I find incredibly inspiring. Although I live in the city limits, I have ten wild acres. The land wasn’t developed because of a creek and adjacent swamp cutting through it, and a rugged rocky cliff sloping up to a forest dense with trees and vines. I have ever-changing beauty right in my own big backyard, with something new every day. And in every direction there are protected parks with true wilderness, all within an easy drive of an hour or less. 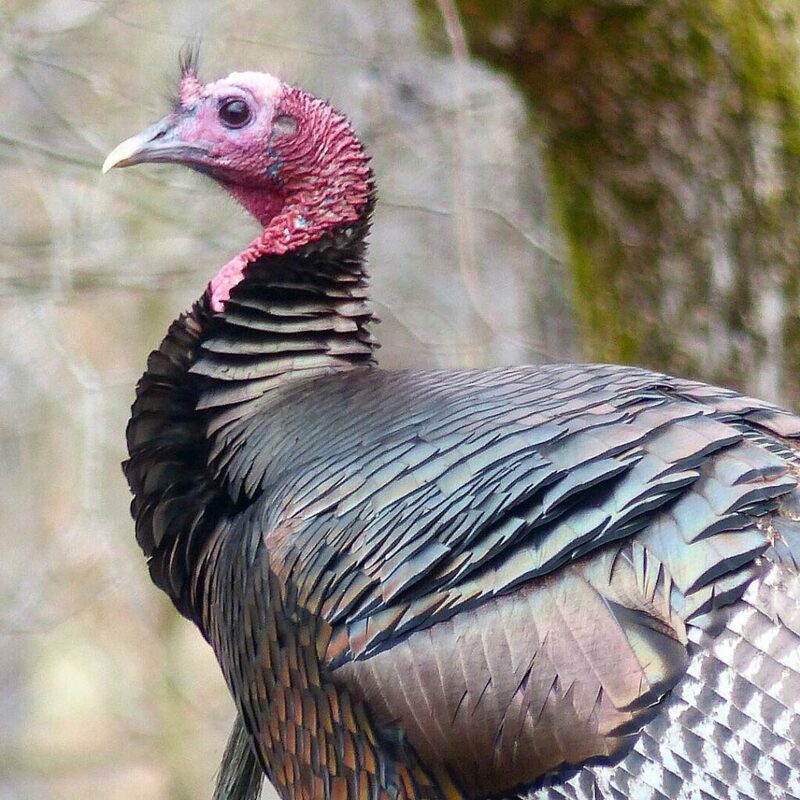 This turkey lives at nearby Bays Mountain, a park of over 3500 acres with 38 miles of trails, along with a planetarium and other attractions. I imagine he is grateful for wilderness too, and the freedom he has when so many of his distant relatives may have less to be thankful for this Thanksgiving.